Who can order Montelukast 5 mg Gluten Free online? Only if you have a prescription can you order Montelukast 5 mg Gluten Free online from YouDrugstore. That is because we are a licensed Canadian pharmacy with a staff of qualified health care specialists that are required to review your order after we have received all of the necessary information. 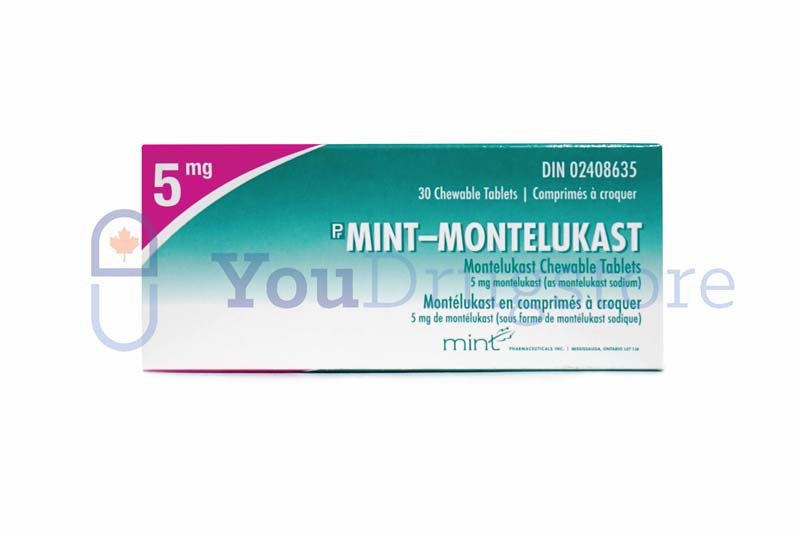 To buy Montelukast 5 mg Gluten Free all you have to do is register a free account on YouDrugstore.com and then send us your prescription. For added convenience ask your doctor to fax us your prescription directly from his or her office. Once you purchase Montelukast 5 mg Gluten Free from YouDrugstore we will ship your order right to your home for a low cost in shipping. We also offer free shipping on any order over $100. Because we are an online pharmacy based in Canada, you can buy Montelukast 5 mg Gluten Free for the same price that Canadians pay. Gluten free Montelukast is a generic drug used to treat asthma in those with celiac disease or a high sensitivity to gluten. How might someone receive a prescription for Montelukast 5 mg Gluten Free from their doctor? If you or your child have celiac disease (sometimes referred to as celiacs) and are suffering from asthma, Montelukast 5 mg Gluten Free may be prescribed by your doctor. Celiac disease is, in general, a hypersensitivity and intolerance to gluten. Asthma is a common inflammatory disease of the air passageways in the lungs. It is more common in children than adults. Gluten-free Montelukast 5 mg can be used by children between the ages of two and fourteen years of age. If you or your child have a history of liver disease, a history of kidney disease, or a problem with allergies, tell your doctor before taking generic Montelukast 5 mg Gluten Free. You should also speak to your doctor before taking Montelukast 5 mg Gluten Free if you are pregnant or breastfeeding. Never take Montelukast 5 mg Gluten Free if you are allergic to it or any of the ingredients listed on it. Why is Montelukast 5 mg Gluten Free prescribed to treat asthma? 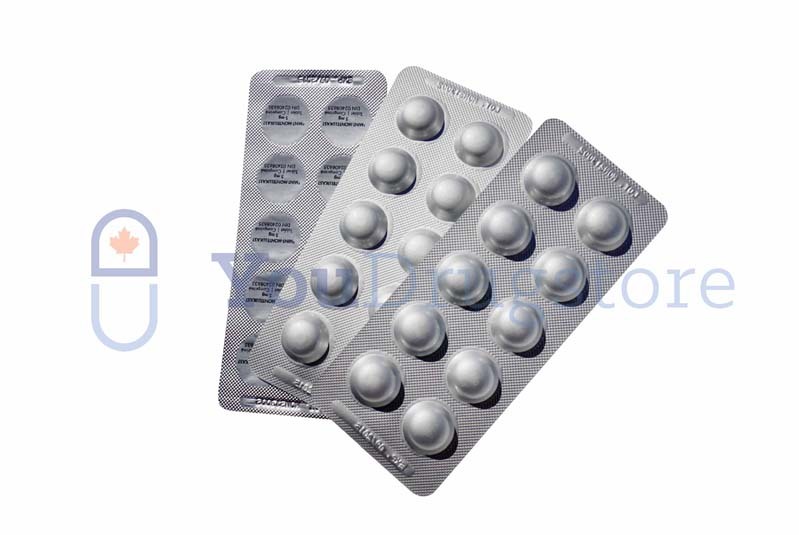 Montelukast 5 mg Gluten Free is a gluten-free, generic alternative to Singulair. It works against asthma without disrupting your sensitivity to gluten or your celiacs disease. Montelukast 5 mg Gluten Free treats asthma by stopping your immune system's ability to cause swelling in your lungs, which is essentially what asthma is. This allows you to breathe better, with fewer symptoms. Moreover, Montelukast 5 mg Gluten Free also works against allergies as well. In fact, Montelukast 5 mg Gluten Free is sometimes also prescribed specifically to treat allergies. 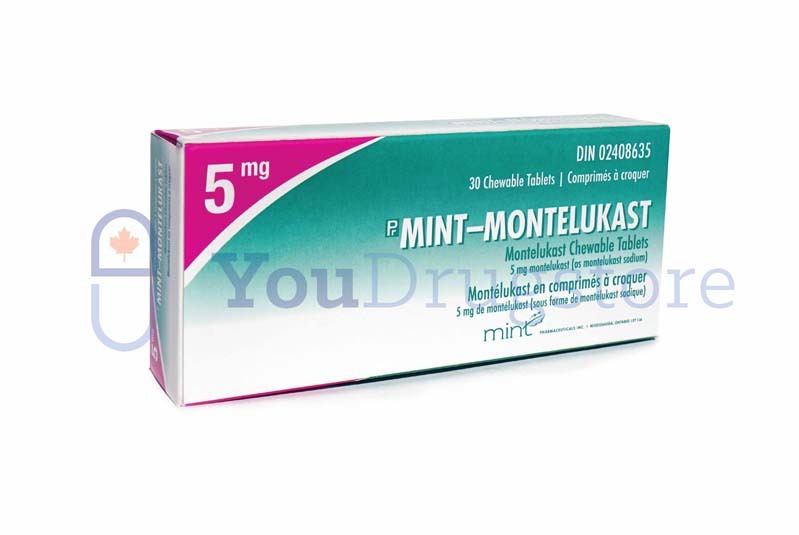 Order Montelukast 5 mg Gluten Free from YouDrugstore and get gluten-free treatment for asthma as soon as possible. What are the side effects of taking Montelukast 5 mg Gluten Free? Every medication you take can potentially cause side effects. The most common side effects associated with taking generic Montelukast 5 mg Gluten Free include thirst, headache, abdominal pain, diarrhea, scaly and itchy skin, hyperactivity, and a skin rash. Typically, these side effects are mild and short lived. If they are persistent or severe, however, speak to your doctor. Side effects you should always contact your doctor about include dizziness, drowsiness, trouble sleeping, sleep walking, anxiety, irritability, numbness, nose bleed, tender red lumps on the skin, muscle or joint pain, fatigue, swelling, weakness, and fever. These side effects rarely occur, but they may be harmful if they do. If you have any concerns about taking Montelukast 5 mg Gluten Free speak to your doctor. When should you take Montelukast 5 mg Gluten Free? To treat asthma, your doctor will likely ask you to take Montelukast 5 mg Gluten Free every day in the evening. Always take Montelukast 5 mg Gluten Free exactly as your doctor prescribes. It may be taken without food, but try taking it with food or a glass of milk if it upsets your stomach. Do not crush these tablets, and do not try to dissolve them in a drink. It is important to note that Montelukast 5 mg Gluten Free is not meant to help treat an asthma attack that is currently in progress. Your doctor will likely prescribe a second medication, known as a rescue medication, specifically for asthma attacks. Where can I learn more about Montelukast 5 mg Gluten Free?